Father, this day is coming to the end, midnight is here! Me? Days do not end! I am hard at work as usual. This time it is to prepare for the professional publication of the books You have inspired me to write! But You know all of that my Father! For this time, You are in control! Therefore, I can work with confidence, for I know that all the work will avail for You to restore Your children! I remain in awe of Your doings! Everywhere I turn, Your Set-Apart Spirit is moving in the heart of Your children. As I sit still in Your Presence, I am able to glimpse at Your heart and understand so much more than what I once understood! Every single morning, every single night, every single day new mercies I see! For me it is as if I was in the Garden, there I sit waiting. Waiting for that moment of Your choosing to show me the way to go or to stay! Now the midnight has fully arrived. In the silence of the moment, I worship You! For You are worthy Almighty Yahuwah! O my Father! The dawn of this day will shortly emerge for the delight of Your creation and my own delight! In the meantime, the night is gone, the day will take its toll, the night will return precisely and on time while all over the world Your Spirit is moving! O yes! What a marvel to behold! 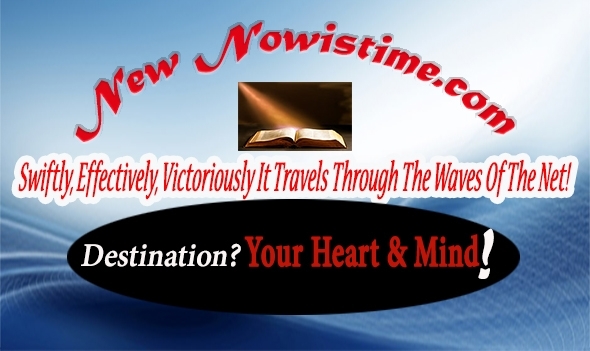 Swiftly, Effectively, Victoriously The Message Travels Through The Waves Of The Net! Destination? The Heart & Mind of each one of Your beloved children! So? What is the stumbling block for My children, including your own self when My written words are read? The stumbling block lies in your own reading comprehension. As an educated person read My written words, the person becomes confused to read opposing statements in My written words. Thus, in the natural sense, the highly educated person reason things out and, out of fear of whatever concept that person has of My Being, that person comes up with a theory or a reason to justify or defend My Being and My words! Such is the root of all false doctrines and religious beliefs! For such reasoning appeals to one or to many that join in what they call faith and begin to proselyte that doctrine! It is for that reason, to prevent My children from fabricating such doctrines & religious beliefs that, I command My children to lean not on their own understanding of My words! Moreover, My written words are Spirit & truth that are accomplished in due time. not to be interpreted by the human mind. clearly declares that this world is not your home! I have no need for any human being, including My own children, I have no need for them to defend or to police My written words! I am in control of My creation! I know exactly what I am doing! In fact, I have no need of anything coming from the flesh of mankind—if I was hungry I will not call on you! Psalms 50—to be read entirely! Regardless! My children for the most, have chosen to ignore My words and have set themselves up to make this a better world to live! Now, to come to the point of why at first I commanded you not to sell the words that I was to give to you for the benefit of My children. I commanded you not to sell the words that I was to give to you for the benefit of My children because, those words needed to germinate before those words would produce the necessary nutrients to restore life—eternal life in My children! At that time I began to sow—to plant those words in your being and the beings of all in your world. Thus, those words—those seeds as per say, were not ready for the market! 1 Timothy 5:18 For the Scripture says, You shall not muzzle an ox when it is treading out the grain, and again, The laborer is worthy of his hire. Very well then, for what purpose I aim for you to receive your wages at the present time? Is it for you to inflate yourself with riches? By no means! My child, again, the human mind is ingrained in My children as it is ingrained in all human beings! For My children are not spiritual, invisible beings in this world. My children are human beings with a physical body and a natural or carnal mind just like any other human being! In addition My child, at no time have I ever promised to enhance the physical body and natural mind in any human being including in My own children. On the contrary, My written words, emphatically declared the physical body to decay on account of sin. Moreover, My written words, emphatically again, proclaim the requirement to lean not in your own understanding if you want to live! Otherwise, you will surely die! Therefore, the paradigm in the human mind—why there is evil? Why am I ill? Why I suffer lack? Why? Why? Why? I remain silent! I will not answer the insidious and belligerent cry from the carnal human’s mind because, the cry from the human mind deserves no answer because of the arrogance to question My authority and My good will for all in spite of all evil caused by the sin of mankind! Now, I come to your present situation and condition. I aim for you to receive your wages at the present time because you are no longer depending on your own understanding to live your life. I aim for you to receive your wages at the present time to enable you to physically support not only yourself but also the physical life of many in the path of your journey in My Presence! It is just as simple as that! You have given Me the honor to control your being. I am now in the process to honor you with the supplies not only to survive the awful times soon to intensify for the rest of the world but also to overcome all difficulties that poverty generates! What can I say? Words fail me to express my awe of Your Being and of Your doings! All of a sudden! Derek Murphy and Michael Balmaceda’s generous tips are all coming together in my mind! Wow! Thanks my Father for Derek Murphy and Michael Balmaceda! I do not know them personally nor have an inkling of where they stand spiritually but, You have set them in my path to help me, so, they are sure to receive Your blessings for their help.